Vitamin B12 is a necessary nutrient that’s needed in the production of red blood cells and helps to develop the coating that protects our nerves. It’s often been referred to as the “energy vitamin” because not only does it speed up our metabolisms, but also it gives a boost of energy. 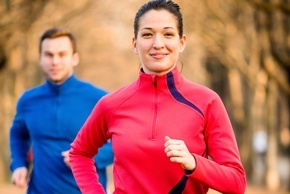 Vitamin B12 injections provide help patients achieve their weight loss goals by giving them a boost of energy that makes it easier to exercise and speeds up your metabolism to burn calories. Vitamin B12 has long been regarded as a key element in sustaining healthy body processes. Not only does Vitamin B12 contribute to metabolism, helping the body create and use energy and also maintain a healthy weight, but it also is a vital player in the nervous system – contributing to the creation of red blood cells and the replication of DNA. For those clients who may be experiencing a slight Vitamin B12 deficiency or who simply need an extra energy boost, Vitamin B12 shots can be a helpful, safe and efficient way to get back on track. HOW OFTEN CAN I GET THE INJECTIONS? These shots, which can be administered as often as every 3 or 4 days, can greatly enhance your energy level and your overall mood.Because the body very rapidly absorbs B12 in its injected form, the shots are a superior option to simply relying on a Vitamin B supplement for the levels of B12 your body needs to function optimally.